Finally, a sports bra that flatters your shape. Maidenform Sport supports you as this women's bra gives you all the confidence you desire. I'm in love with the new Maidenform Sport Bras because they're designed to flatter your shape. They don't flatten and squish like most sports bras and they keep everything in place while I workout. The last thing you should have to worry about during your workout is your sports bra and the makers at Maidenform definitely seem to understand that. I'm an avid runner and also a nursing momma so I need a sports bra with support and up until these sports bras from Maidenform I was extremely disappointed. The new Maidenform Sport Bras not only feel comfortable but they also help me to look my best. I love that they don't flatten or distort my shape but rather comfort and support it. I also have to say that I love the design of Maidenform's new Sport Bras because they look extremely feminine. 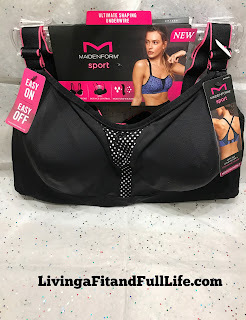 Maidenform's new Sport Bras are absolutely incredible and I highly recommend them! Whether you're running, lifting weights or just hanging out at home their the most comfortable sports bras around! Click HERE to find a Kohl's store near you! 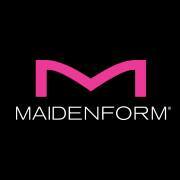 Follow Maidenform on social media!